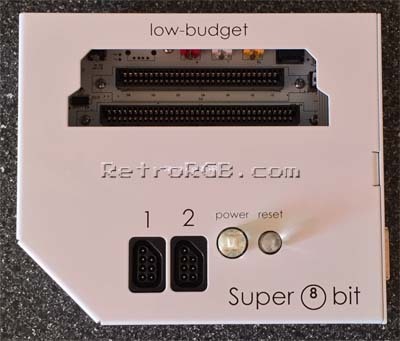 The Super 8 is a NES & Famicom system made by low_budget that uses the original NES CPU and PPU with all brand new parts. The unit I received for review is the completed kit. As you can see in the picture above, it has two NES controller inputs, standard power and reset buttons and a Famicom expansion port on the side, which supports all the peripherals (including the 3D glasses). In back, you have an S-Video port, a Genesis 2-style multi-out (supporting RGB video as well as audio), then your standard Composite – L/R ports (the sound channels are split to stereo; more info on that in the NES mods section). The rectangular cutout on the right was intended for a USB power port for charging miscellaneous accessories drawing up to 500mW. This isn’t installed stock, but can be requested. I didn’t expect this review to focus on the design and layout, but there’s not much to say about the performance…but that’s a compliment! : It performs exactly like an original NES that’s been (properly) modded with a NESRGB. There’s no audio hum, no video signal interference, no glitches in the games I tried…it just worked great. 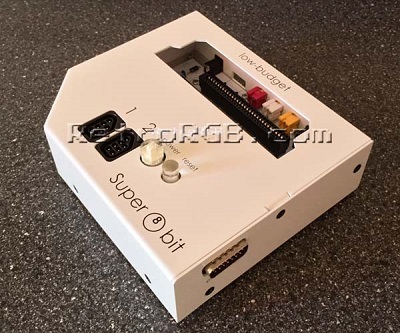 – Right now, it’s the only brand new, pre-built RGB NES solution available. There are a few others being promised (and constantly delayed) and a bunch of random eBay sellers with modded (used) NES systems, but this is different: It’s a “professional” install, available right now. If you have the money to spend and you’re just looking for a no-hassle, plug-and-play solution, this is your only choice…and a good one. 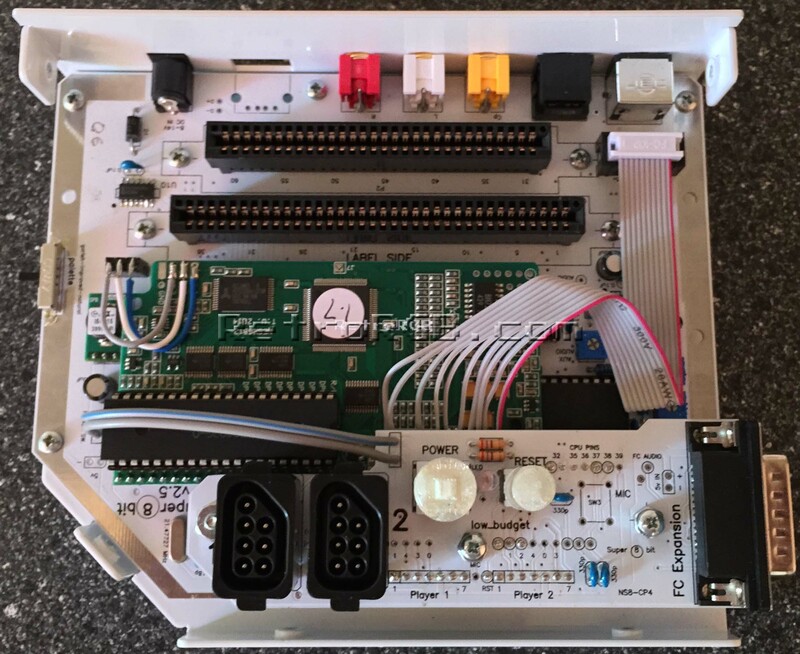 – It’s also an excellent solution if you have a broken NES / Famicom: As long as the CPU and PPU from your system are good, it doesn’t matter what condition the rest of it is in: Just de-solder the chips and add them to this. – At just under $500, it’s expensive. Most people don’t realize how much a project like this costs (in both time and money) and I’m sure low_budget isn’t making very much on this, but if there was some way to make it cheaper, I think it would gain a lot more interest. As an alternative, you can buy a front-loading NES with controllers for under $60 and the NESRGB kit for under $100. Even if you pay someone to install it for you and do all of the same mods, it’s still at least $100 cheaper then this…but not nearly as unique and you’re still relying on all the components in your 30+ year-old console, instead of the brand new components in this one. 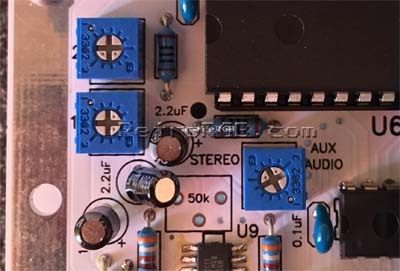 – I have a strong opinion about NES stereo audio: I’m a huge fan of splitting the audio in NES systems…but never 100% split. I’ve found some games that sound awesome with a full split (Contra), but most others just sound annoying. That being said, whenever I’ve blended the signal so it’s a 50% split, every game I tried sounded great. I really wish there was a mix knob on the back that allowed you to dial-in the blend (or just set it to mono). You can use a Y cable to blend the two channels together for mono, or even make a cable with a potentiometer built in that blends the audio for you, but it seems like something that should be built-in. – I would have loved to see the Famicom 3D adapter built in. The expansion port on the side fully supports the 3D adapter, but those are expensive and the circuit required for it would be really cheap and easy to integrate. It would have been awesome to just buy some cheap 3D glasses, plug in my Everdrive and start playing the 3D games. – The NESRGB kit also has a component video output option available. 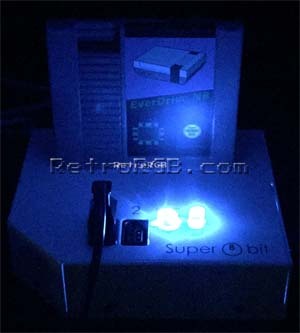 It would have been really cool for that to be integrated as well, just to offer another unique option that set it apart from the other NES RGB consoles. In short, if you have a physically damaged NES or Famicom, this is the solution for you. Period. Using the Super 8 would mean that you get to salvage something that would have otherwise gone in the garbage and you’ll get top-notch performance from it. I wish it was either cheaper, or there were more options to justify the price, but there’s certianly nothing “wrong” with it and anyone who buys it will be very pleased with what they get. Feel free to go back to the main NES page, or the the NES HDMI / RGB mods page for more alternatives. Also, please head to the home page or console info page for more retro awesomeness! Equinox Super Nintendo Entertainment System SNES COMPLETE W/RARE Poster! Cowboy Kid (Nintendo Entertainment System, 1992) NES VERY RARE!